What Is Gastric Bypass Surgery? Also known as Roux-en-Y surgery, gastric bypass surgery is a weight loss operation in which the stomach is reduced in size and the lower intestine is rerouted to this new pouch to address multiple factors associated with obesity. Gastric bypass surgery is one of the most common procedures performed to aid in weight loss. Furthermore, this is the preferred technique for weight loss surgery, according to the American Society of Metabolic and Bariatric Surgeons (ASMBS). For patients seeking to reduce excess weight, our experienced bariatric surgeons may be able to help. For more information about gastric bypass surgery from our practice, or to schedule a consultation, please contact us today. What Are the Benefits of Gastric Bypass Surgery? Among the many obesity treatments available, gastric bypass surgery has typically shown extraordinary results. Within the first two years after surgery, most patients are able to reduce their excess body weight by as much as 60 to 80 percent, though individual results will vary. The most substantial amount of weight will usually be lost in the first six months, with results gradually reducing from that point. However, the gastric bypass procedure has been proven to offer longer-lasting effects in some cases, including incidents of people experiencing post-surgical weight loss for as long as 10 years. Those committed to lifestyle changes that include a nutritious diet and exercise regimen often prove the most successful. Before-and-after photos of our patient success stories are available. What Are the Possible Gastric Bypass Surgery Complications? Dumping syndrome: A condition that occurs when foods with a high-sugar content are consumed. Symptoms include sweating, stomach cramps, dizziness, weakness, and diarrhea. Excess skin: Weight gain can lead to skin inelasticity, often resulting in excess skin when that weight is lost. Patients may desire plastic surgery to correct the areas of concern. Reduced mineral absorption: Certain vitamins, including B12 and iron, may not absorb as well after surgery. Patients are encouraged to take a daily multivitamin to help balance their diet. How Does Gastric Bypass Surgery Compare With Gastric Sleeve Surgery? The primary difference between a gastric bypass and a gastric sleeve operation is how the stomach is altered to achieve weight loss. 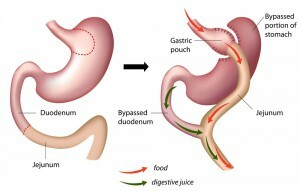 In gastric bypass surgery, the stomach is reduced in size to a small pouch, and the lower intestine is rerouted to this new pouch in order to bypass the majority of the stomach, thus the reason for its name. In gastric sleeve surgery, the stomach is reduced in size my removing a large, long section, thus creating a tube- or sleeve-shaped stomach. Both procedures can help patients lose a significant amount of excess fat. With a gastric bypass, patients have a lower risk of developing acid reflux but a higher chance of developing dumping syndrome. Gastric bypass surgery has been performed for longer than gastric sleeve surgery, and it is considered the gold standard approach for weight loss surgery. What Are the Gastric Bypass Surgery Requirements? Gastric bypass surgery can provide excellent results for certain patients. Generally speaking, you should have a BMI of 40 or higher (or 35 and higher with at least one serious weight-related condition), have made efforts to lose weight through diet and exercise and been unsuccessful, and not have any disqualifying medical conditions. Our team of extensively trained surgeons will review your medical history, go over the screening process and any other guidelines that must be met, and answer any questions you have before determining if gastric bypass or another procedure is right for you. Your safety, comfort, and results are our highest priorities, and our medical team is dedicated to delivering exceptional care. How Is Gastric Bypass Surgery Performed? A gastric bypass is performed as a laparoscopic bariatric surgery—an approach that is typically less invasive than traditional, “open” methods. During the operation, one of our skilled surgeons will use very fine instruments through tiny incisions, called keyholes, to reduce the size of the stomach. This new, smaller stomach helps to restrict food intake. Our bariatric surgeon will then attach a piece of the small intestine, which is partly responsible for food absorption, to the newly reduced stomach pouch. As a result, food can “bypass” a significant portion of the small intestine so fewer calories are absorbed. Patients experience weight loss as a result of eating less as well as absorbing fewer calories. What Is Gastric Bypass Surgery Recovery Like? Recovery following gastric bypass surgery is just as important to your results as the actual operation. You will begin with a special diet plan that emphasizes liquids, then pureed foods, then soft foods, then firmer foods as your stomach and intestines heal. We will go over your dietary restrictions thoroughly and provide helpful information so you can develop healthy eating habits that will continue long after you have recovered. You may also be asked to take supplements and vitamins to support your nutrition. Frequent medical checkups are part of the process, and we will be with you every step of your journey. Immediately after the operation, you may feel sore, tired, and bruised, and these effects should fade as you heal. As you lose weight, you may experience some minor aches, mood swings, fatigue, and temperature fluctuations as your body adjusts to the rapid weight loss. This is normal, and we will help you manage the effects as you achieve a healthier lifestyle. What Are the Possible Side Effects of Gastric Bypass Surgery? Dumping syndrome is more common following gastric bypass surgery than with gastric sleeve surgery. Some patients who previously had heartburn before their operation may find that this condition is reduced or eliminated after the procedure. Every individual is unique, and we will monitor your health for the long term, assisting you with any issues should they arise. How Much Does Gastric Bypass Surgery Cost? The gastric bypass procedure may be covered by health insurance. However, some health care providers require patients to undergo a supervised diet prior to surgery or have a consultation with a medical specialist before approving the operation. Griffin Hospital and our friendly, knowledgeable bariatric team will be happy to help people better understand the terms of their coverage, assist in completing any paperwork necessary, and pursue treatment approval. We also work with a finance company specializing in weight loss surgery that can help individuals who are denied coverage. Will I Need Gastric Bypass Revision Surgery? 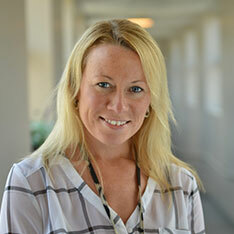 Most patients experience excellent results from gastric bypass, and complications are uncommon. Some patients, however, may relapse into weight gain years later. This is why it is essential to maintain a healthy lifestyle, including participating in a comprehensive weight loss support program that can assist you when a struggle occurs—before a relapse can happen. Should weight gain develop, revisional surgery can reduce the stomach size once more. Part of the process will be reviewing what causes led to the weight gain so as to best limit the possibility of it happening a second time. Our physicians will review your options if you’re considering revision gastric bypass surgery so you can make the best decision for you. Are There Any Alternatives to Gastric Bypass Surgery? If gastric bypass surgery is not the ideal approach for you, there are many other options available. Gastric sleeve surgery and gastric banding are two additional bariatric techniques that are popular and widely used to achieve significant weight loss. Additionally, there are a growing number of non-surgical applications that may be appropriate for you. Finally, diet and exercise are always the first recommended approaches for addressing excess weight. We can help you determine which method will work best for your lifestyle, medical history, and desired outcome during your initial consultation. How Do I Choose My Gastric Bypass Surgeon? In addition to choosing a board-certified bariatric surgeon, we recommend selecting a practice that offers a comprehensive support program that includes nutritional and fitness counseling. 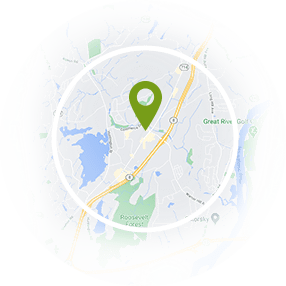 Our weight loss program is one of the best options for bariatric surgery in Connecticut. Our experienced surgeons, friendly staff, and technologically advanced facilities are first-rate. If you have additional questions about gastric bypass surgery and our weight loss program, or if you wish to schedule a consultation, please contact our office today. Need help registering for support groups, monthly workshops or bariatric seminars? Unsure of the process or how to begin? We take pride in offering concierge style guidance for all current and potential patients. Can I Have Caffeine After Bariatric Surgery? Copyright © 2019 Griffin Bariatrics, All Rights Reserved.